Home » HotMama » Sleepshirts, Nighties, Tunics & more! 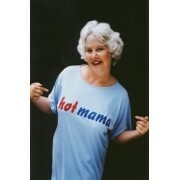 Hot Mama® Sleepwear & Comfortwear for women. Fabrics include 100% HCW moisture-wicking jersey or bamboo blend for total comfort and wearibility. HotMama's 'new'signature nightshirt, butterfly sleeve, round-neck. Modified shirt tail hem just b..
Slightly draped neckline and front centre with spaghetti straps make you feel special in this abo..
Cap sleeve tunic dress, with interest collar detail. Wear it to lounge in or out and about. 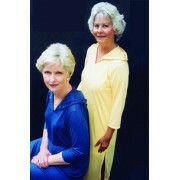 Bambo..
3/4 sleeve full length night shirt or lounger. Throw on some pearls and wear out in the evening. 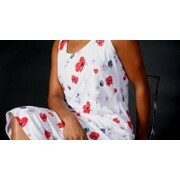 ..
Sleeveless tank dress, similar to other popular styles but with exciting new detailing. 2 buttons..
Full length caftan to take you back to the good ol' days!. Great for lounging inside and out. .. Gather Together calf length 3/4 sleeve lounger. Perfect for cool evenings in front of the firepla..
Full length hooded caftan. Great for lounging inside and out. No mediums or larges left... sorry!.. Hot Mama's statement night shirt. Oversized T-shirt in a variety of HCW colours. 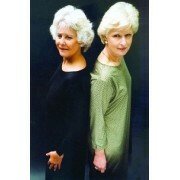 ..
Full length front open neckline for easy wearing. Long sleeve to keep you covered and comfy. ..
Knee-length, sleeveless, gathered at scooped neckline. Worn in your house or out on the street. E..
Maternity/nursing gown. Breast-feeding slits concealed by scalloped edge cover-ette. .. This dress can be worn anywhere anytime, off the shoulder or on. Just enjoy the comfort of HCS's ..
Sleeveless tank dress, modified shirt tail hem, ankle length. Comfortable and flattering. Few Sma..
HCW moisture management satin sleeveless tank dress. Cool and hot at the same time! Available in ..